an exclusive discount offer for our clients on additional home protection. Ever worry about what is going on in your house when you aren’t there? Notion helps you know what is going on, allowing you time to handle problems as they come up. Notion is a complete home monitoring solution powered by a multi-purpose IoT (Internet of Things) smart home sensor, controlled by an app on your mobile device. It helps provide additional protection for your home. It keeps you notified of events you set up to be monitored in your home. Even if you have a home alarm system – does it monitor for water leaks? Can it alert you to those problems via text? It will send alerts to your mobile device. Smoke Alarm Notification – With both pets and heavy sleepers in my house when I’m not there – yes, I want to know if my smoke alarm goes off for sure. 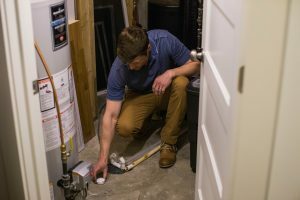 Water Leak Detection – See my blog on this, but suffice to say – if water appears in my house where no water should be – yes, I want to know that too. These are two of the biggest reasons I use the system but not the only ones. This system will alert you to many things going on in your home. 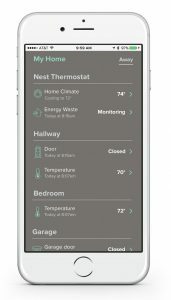 Oh and another bit of good news could come your way by installing and utilizing the Notion kit, PNW customers may also receive a Smart Home discount on their home insurance policy, helping reduce their premiums. Please contact us to see if your policy is eligible. To read my personal story of Notion – please click here and read our blog! It is my true story……. The installation of Notion smart home sensors will allow clients to prevent in-home incidents, like water leaks and other costly insurance claims, before they create significant damage to the home. Notion’s affordable and easy-to-install Smart Home Starter Kit packs multiple capabilities into a single device. Each sensor is identical, yet multi-purpose, offering a homeowner the flexibility to monitor and receive instant alerts on things happening across their entire home—from motion and temperature changes to water leaks and sounding alarms. Our clients will receive everything they need right out of the box, including their welcome booklet and the Notion Smart Home Starter Kit. By proactively leveraging Notion for home alerts, policyholders can reduce or eliminate damage from claims. 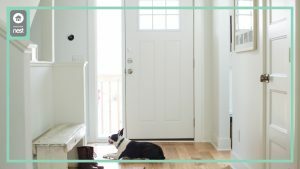 Notion is the complete home monitoring solution, powered by an all-in-one smart home sensor, that sends alerts to a homeowner’s mobile device for the things they care about most — water leaks, smoke alarms, temperature changes and doors, garages and windows opening and closing. Notion is more than home security. Notion delivers real-time peace of mind. PNW Clients please click here to send a request for our discount code then visit http://getnotion.com/ to purchase the unit!